Maybe we’re a bit twisted, but we derive a great deal of satisfaction from things that seem adorable at first but can deliver devastating results. Pikachu may be a cuddly animated yellow mouse-thing who chirps his name incessantly, but he also cuts loose with 1.21-gigawatt blasts of lightning. Likewise, Gremlins are cute until fed after midnight, and Carol Kane’s bubbly-voiced Ghost of Christmas Present throws a mean right-cross. So cute. So unexpectedly violent. The roads are overflowing with butched-up muscle machines that try to look tougher than they actually are, but there are also some unassuming automobiles that pack a knockout punch. The Fiat 500 Abarth comes to mind among current offerings, and the Mazdaspeed Miata of yore is another great sleeper. Back in the heyday of economy import performance, however, Chrysler, Plymouth and Dodge had a surprising present for the motorsports scene: the Neon. With great big anime eyes, jellybean colors, a “Hi.” ad slogan, and a totally nonthreatening demeanor, the lozengeshaped Neon wasn’t going to scare away anybody on looks. But in DOHC trim, the little Pentastar had a stout 150 horsepower for its 2350-pound bulk–30 to 50 more ponies than the rest of the popular compacts at the time. The Honda Civic Si hadn’t yet received its twin-camVTEC transplant, and even the beloved Sentra SE-R was down on power to the 2-liter Neon. Better still, the gearheads at Mopar decided to enhance the Neon with an ACR model that included four-wheel-disc brakes, improved aftermarket dampers, thicker anti-roll bars and shorter gears. The 1995-’97 models even had adjustable camber. It was endearing on the outside, but had serious bite when prodded. Chrysler wasted no time proving that the new Neon had ontrack chops. They created the Neon Challenge, a wonderful PRdriven race series that put celebrities and racers behind the wheels of identically prepped Neons sporting huge, multicolored decals. 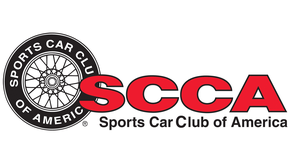 The cars met SCCA Showroom Stock prep rules, and after they had served their initial purpose as high-speed billboards, many of them were snapped up by club racers. It was an elegant way to seed the club racing scene with a large number of Neons that might not otherwise have been racing so shortly after their debut. A new millennium brought a second-generation Neon, and an ACR version remained available for the first few years. Unfortunately, the new car was heavier and didn’t have any more power than its predecessor, so racers didn’t have much incentive to jump to the new platform. Then, in 2003, the performance nuts at Dodge’s Street and Racing Technology branch must have found photos of the bean counters doing some scandalous form of long division, because they somehow blackmailed the suits into letting them all but weaponize the Neon. Thus was born the SRT-4, a truly bonkers front-wheel-drive experiment and the spiritual successor to the fan-favorite Omni GLH-S.
For a sticker price of less than $20,000, Dodge would happily sell you a wide-eyed Neon with a generous amount of horsepower and torque going to its front paws. By lowering the compression ratio on the big-for-its-class 2.4-liter engine and slapping on a Mitsubishi turbo, the engineers easily achieved 215 ponies and 245 ft.-lbs. of torque in stock trim. Better still, the understressed powertrain in the car was designed from the start to pack on more power with a trio of factory Stage packages. 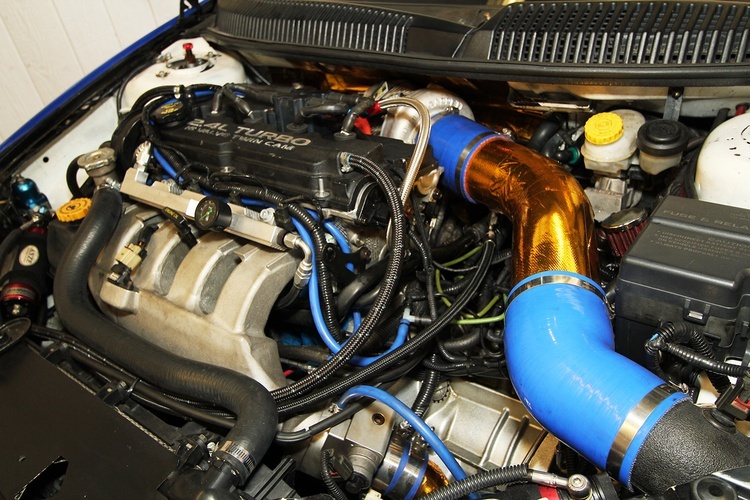 Back in the day, our own GRM project SRT-4 sounded like a powerboat and generated nearly 300 ft.-lbs. of torque at the wheels with just a few catalog bolt-ons. Truly power-hungry enthusiasts could opt for a Stage 3 kit, a factory-endorsed upgrade that included a new turbocharger and was good for 375 horsepower on race fuel. 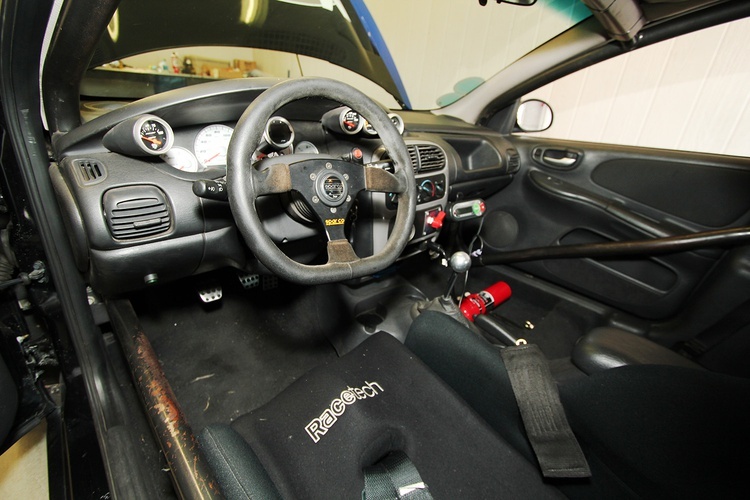 Naturally, the SRT-4 was aimed at the tuner crowd, and tuners jumped on the new hyper-powered Mopar missile. The majority were devoted to drag strip duty and showing off their big wings on the street, but when we campaigned our SRT-4 project car in SCCA Solo competition with Mark Daddio at the wheel, it trophied at the 2004 Nationals in D Stock. A few folks even started flexing the super-Neon’s muscle on the track. 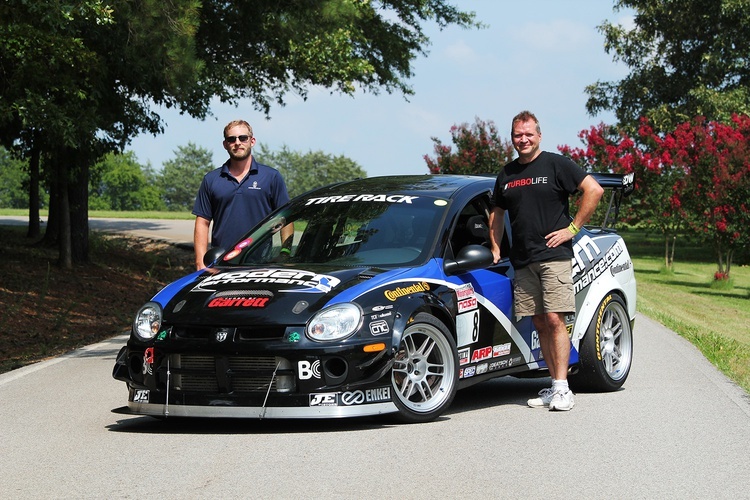 One such racer, Doug Wind, latched onto the SRT-4 and still hasn’t let go. Doug fell into motorsports through autocross with the Clemson Sports Car Club during college, but he was already a fan of oddball machines before that. His first cone-dodger of choice was an El Camino SS. The truck/car served double duty, hauling the CSCC’s cones and gear to their autocross events. “I finished third overall at my first autocross,” Doug admits, which is a perfect recipe for a lifelong addiction. Doug and his friend Keith Ori set their sights on the 2006 One Lap event after purchasing a stock used example, but when a seller in Palm Beach, Florida, put a car with the Stage 3 hardware up for sale, they immediately sold their initial car and followed the old adage of letting somebody else spend the money on upgrades. Doug campaigned his new machine in the 2006 One Lap of America with moderate success and one big pre-race setback. “We blew the motor,” he recalls. “We met in Savannah, found a place that could get everything we needed, and broke it in driving from North Carolina to South Bend on the new engine.” The fresh powerplant propelled them to eighth out of 14 cars in Mid-Priced Sedan that year, and 23rd out of 80 total cars. Doug insists that the car was still pretty mild at this point, with “modest” power and 245mm tires on 17-inch wheels. “It’s always good to make power,” he notes, “but reliable power is the question. We stuck with the factory kit for a number of years, but the next thing we were looking for was traction–the cornering ability of the car. Doug took this lesson to heart, but only halfway. He changed out the front hubs on a maintenance schedule, but he had an unexpected thrill when a rear wheel nearly detached from the car at speed at Road Atlanta. In addition to their industrial strength, the custom hubs allow Doug to use wheels with a much more common 5x114.3mm bolt pattern, opening the door to inexpensive pieces designed for Evos, Nissans, Hondas and more. “We run a 15mm offset, and on the track I run a 10mm spacer to get clearance on the spring perch, depending on the tires,” Doug notes. The SRT-4’s primary competition venues at that time were rules-liberal series like the Optima Ultimate Street Car Invitational, NASA and NARRA time trials, and GRM’s own Tire Rack Ultimate Track Car Challenge. Doug continued making the car faster in all metrics by removing its weaknesses and bolstering its strengths. As a result, his already quick SRT-4 morphed from a very fast street-legal track machine into a jaw-dropping, space-warping, frontwheel- drive monstrosity. One with cute round headlights, of course. They next opened up the Stage 3 turbocharger housing and fitted larger impeller and exhaust wheels, which kept the power curve’s shape the same but increased output to nearly 450 horses and 460 ft.-lbs. of torque. 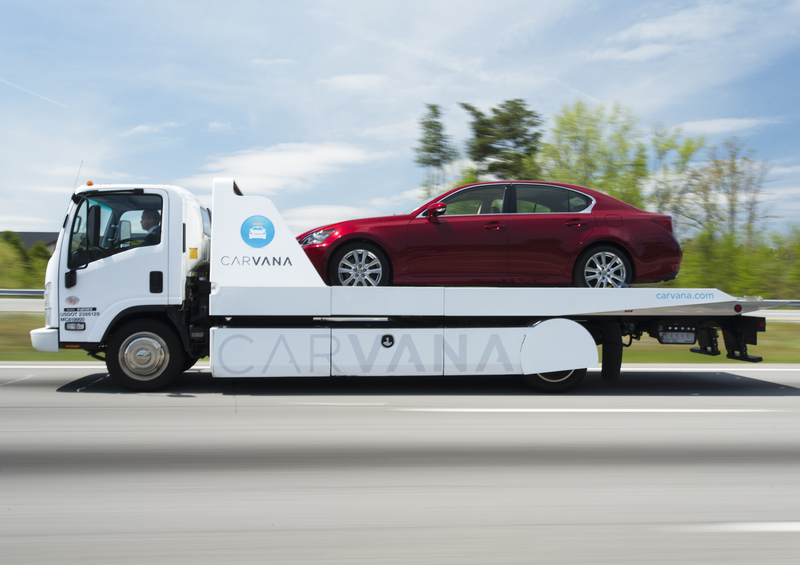 “This car, for whatever reason, has always been very square. The horsepower and torque are almost identical,” Doug says. Doug had been sourcing many of his parts from Modern Performance in Texas, one of the few remaining suppliers with full Neon support all the way back to the original 1995 cars. Their relationship with Doug grew, and they eventually became the primary sponsor of his car. At the 2011 PRI Trade Show, Doug struck up a conversation with the folks at Garrett, who were promoting their new GTX turbo systems. He came away interested, and Garrett did a flow analysis for his engine before offering up a recommendation. A problem with an oil feed line burned up his new GTX turbo right before the 2015 UTCC, but Doug had just enough time to call up Garrett and get a replacement–already he was enjoying the benefit of off-the-shelf components. They sent a slightly larger 3076 with a 5mm larger compressor, and in a quick dyno session on an unfamiliar dyno the car made 616 horsepower at the front wheels. 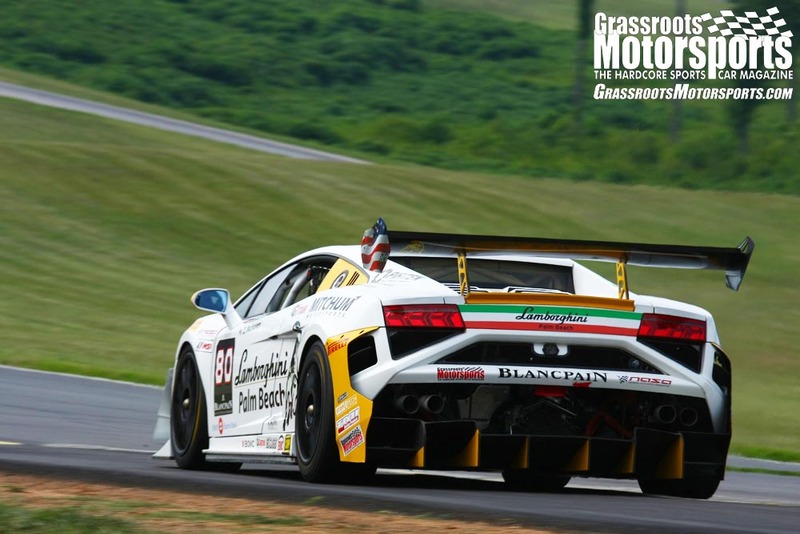 Doug arrived at Virginia International Raceway last July having spent several years knocking on the 2:04 barrier at the Tire Rack Ultimate Track Car Challenge. That’s a scorching time in any car, and all the more impressive for one with front-wheel drive. Armed with a fresh dose of Garrett boost and crew help from his friend Daniel Fahr, Doug was optimistic that the added power would bring him closer to the 2-minute barrier than ever before. He qualified for the front of his run group, but a busted radiator hose took a while to replace and burp, so he was late to the grid for the first timed session. As a result, Doug took his place at the back of the line. The positioning worked, and for the first time in a long while Doug was rewarded with a magical issue-free, traffic-free lap at the UTCC. Most people are happy to nudge down their personal best by a few tenths, but Doug’s first flyer was worth a staggering 6.2-second improvement over his previous best time. 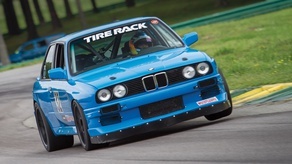 His 1:57.828 set the record for front-wheel-drive cars at VIR’s Full Course configuration, and that barrier isn’t likely to be broken anytime soon. There simply aren’t that many crazy-fast FWD track cars on the planet. This bore out just a few days later, when the SRT-4 stripped all the teeth off its fifth gear. “I have a buddy who works at Mopar,” Doug says. “He’d never heard of that one before.” Liberty’s Gears in Michigan doesn’t make the part, but they offered to treat an OEM piece for extra strength. Accolades for the SRT-4 continued to roll in throughout 2015. Doug earned Fastest FWD with a 161.75-mph run at the Georgia ½ Mile Shootout, and he scored the GTL Class Championship in the Optima Search for the Ultimate Street Car, locking down his spot for the yearend Invitational following the SEMA Show. Coverage of that event, where Doug was the sole front-wheel-drive entry in the finals, will air on MAV TV. Whatever the coming years bring for Doug, he seems perfectly content to continue turning heads and shattering preconceptions with his Dodge Neon. Here’s hoping that 2016 brings another Ultimate Track Car Challenge front-wheel-drive record–and more than a few astonished Porsche, Corvette, GT-R and Ferrari owners. Join Free Join our community to easily find more Dodge articles. Rad car! What's with the different tires on the front and the rear? Is it merely tire letters? Could be different sizes or compounds. Sometimes FWD cars run staggered setup with the front wider than the rear. Talks about it in the full article a little. Its staggered with wider fronts. At some events we run a staggered tires Front to Rear, but this was simply a timing issue and the letters were at the rear of the tire when the picture was taken. At the UTCC event we run a 275/35/18 on 18x10.5" Enkei RPF1's setup all around. A NASA instructor I had about 12 years ago was a Chrysler engineer and had a track prepped Neon. I was stunned how well it handled. I don't remember it being an ACR, but the suspension was Def dialed in. It's a pity that these cars were so short-lived in production and then doomed to a life of being thrashed into oblivion. I also learned from Chris Greenhouse last year that they make a monstrous stage-rally car.